Thinking about Kayaking in Thailand? 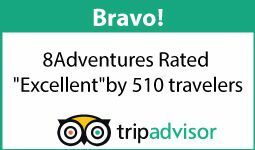 Look no further; 8Adventures operates some of the most amazing trips in South East Asia and beyond. 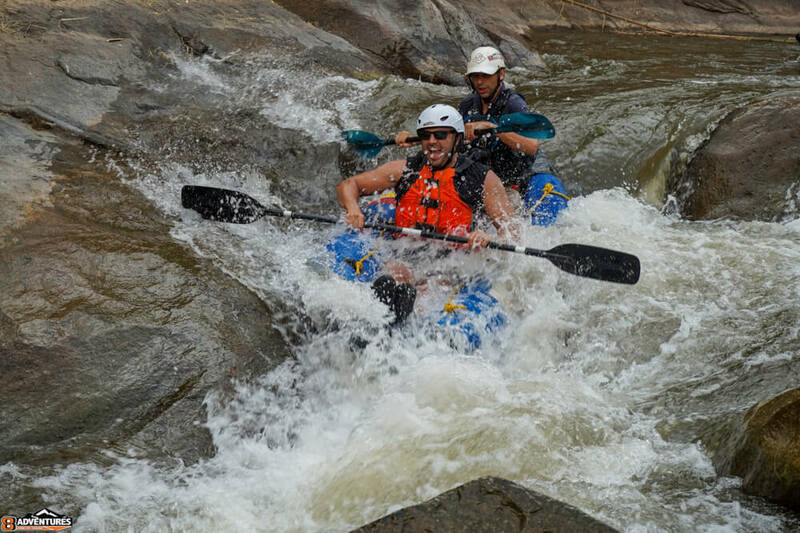 Locally on the Mae Taeng River we host amazing kayaking experiences. Go deep into the jungle or practice your skills with a pro, we have options for all levels and welcome everyone to come out and experience kayaking in Chiang Mai, Thailand. During March April May, you can use inflatable kayaks, for the main class IV section, the best white water in northern Thailand. They are set up with one or two guests in front and a guide in the back. During the rest of the year the water is too challenging and we only offer inflatable kayaking on our class II-III sections. Check out our Facebook page for examples of past trips and what current trips look like. https://www.facebook.com/8Adventures. 10 km Inflatable Kayaking has it all. Its broken into 3 sections. The first section is a great warm-up where you learn skills practicing with the guides and getting used to the boat. This section has one class III and is probably the most beautiful section of the river with the encroaching jungle offering lots of shade. 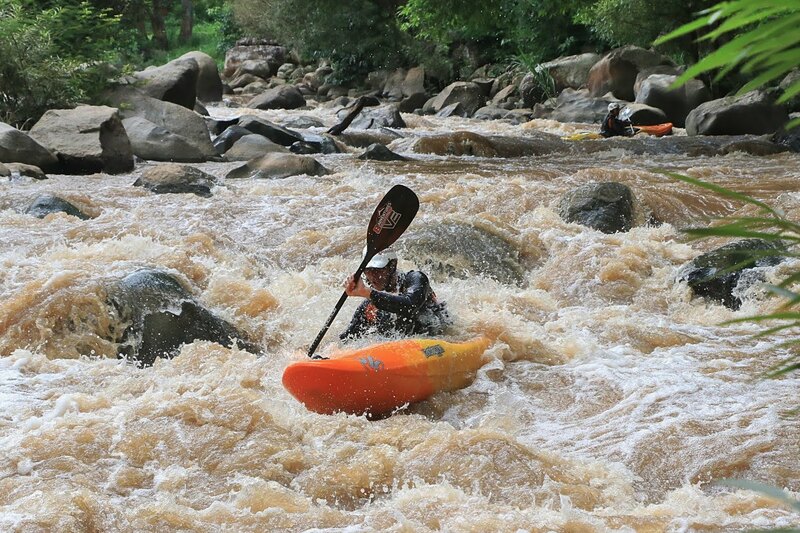 The middle section is action-packed with rapids and is probably the best Whitewater in Thailand. Most of this section is class III and IV rapids. The 3rd section lets up in the beginning giving you some time to relax before entering a great class III rapid leading into a short continuous section of rapids that goes almost all the way to the take out where our camp is. We have top-of-the-line equipment expert trained guides to make sure you have a safe adventure. We have towels for you when you finish and shower facilities that you can use before heading home. Make sure to bring a 2nd set of dry clothes so you can ride home dry. UL Life Jackets and CE EN Certified Helmets, Kayak – Whitewater creek boat, skirt, paddle. The Kayaking Course is customized to fit the needs of the participants. No one trip is exactly the same. In general for beginners we start with the basics in strokes and water reading. For more advanced paddlers we have a wealth of local knowledge to put towards designing the ultimate trip for you. Maximum group size of 4. Call 8Adventures for details and individual programs. 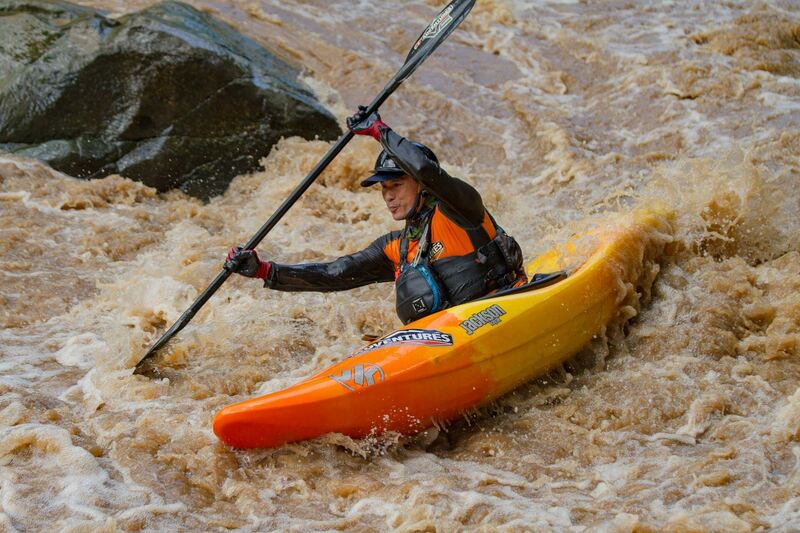 Class I to IV whitewater kayaking. We provide a shuttle from 8Adventures Riverside Basecamp to the top of the river, all the appropriate rated equipment, and a highly skilled guided to alert you on what’s downstream, scouting key points along the way and serving as your safety kayaker. UL Life Jackets and CE EN Certified Helmets, kayak, skirt, paddle. Transport and Food are not included but can be provided for an additional charge.